Welcome to a new Motorsport.com series. In this first installment of 'Parallel Lines,' we talked with Emerson, Pietro, and Enzo Fittipaldi. Emerson Fittipaldi - It's a name widely known in the motorsports niche and a last name synonymous with anything having to do with racing. Two Formula One World Championships to his credit, the 1989 and 1993 Indy 500 winner, and a CART champion to top it off. His grandchildren are following in his legendary footsteps and proving that they too have the racing gene in their blood. Pietro started in go-karts and then began to make a move towards a career in NASCAR. He earned the 2011 Hickory Motor Speedway track title before switching over to the open-wheel side of racing. In 2014, he has dominated the competition in the Protyre Formula Renault championship, winning nine of the eleven races contested thus far. Then we have the very young but just as driven Enzo. The 13-year-old has been racing go-karts and Legend cars, and appears to be on the fast track to success, just like his older brother. Motorsport.com talked to all three racers, asking them the same or similar questions to see how their answers compare, just as the title 'Parallel Lines' suggests. First and foremost, we wanted to know if they'd ever jump at the opportunity to race in the other's era and even trade careers if they could. What we got were two very contrasting answers between the three of them, which I found quite interesting. Emerson was quick to say how he 'loves the new technology,' saying "When you have a racing car, you have to have the pedals, the steering wheel, changing gears … Everything must work together. And the new technology makes all this work together. It’s very dynamic. 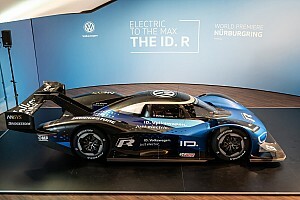 I’d love to drive the new Grand Prix car now. It’s much better. But you must be able to get the very last tenth of a second out of the car each lap. It’s the difference between a good driver, and a very special driver. Today’s technology allows you to go to the limits." As a young boy I admired Fangio. Chico Landi, a Brazilian Grand Prix driver. Pietro and Enzo on the other hand, wished for the days of old when the car was more in the driver's hands. 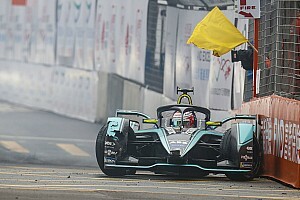 "I love the way the cars looked and there was a lot more opportunity for the teams to gain an advantage through creativity and ingenuity," Pietro told Motorsport.com. "There was a team that built a car with six tires once. The driver was also a lot more important because there weren't as many driver aids as there are today. It was more about the driver and the driver helped more in setting up the car." Enzo echoed the thoughts of his older brother, saying "It was more about the driver and less about the engine, chassis, and things like that. Today, it's more technical and it's all more electronic. Back then, you could actually see who the best driver was because the cars weren't so far apart. The driver had a bigger effect on the result than the car did." Regarding how he helps his grandchildren as they work their way up the ranks, Emerson said, "With Pietro, I give him all the advice I can. With Enzo, he is driving karts, so not so much yet. When Pietro moved from karts to car racing, every time I watch him drive, I give him my comments. I try to separate my heart, my emotion as a grandfather, and be a coach. I talk to Pietro before each race, before qualifying .... I have a very good connection with him. I am sure when Enzo moves to cars, it will be the same." I think of myself as a fair racer, but when it comes down to the last two laps, I am as aggressive as one can be. Emerson isn't the kind of teacher that pushes you out of the nest to teach you how to fly, nor is he the kind that holds your hand through it all, as the kids revealed. "He likes to let me learn on my own, but he's always there when I'm in doubt," said Pietro. "He's always there. Having him there is priceless. It's been a while since he's driven and the driver techniques are different to a point now, and there's more data to look at. Preparation for races though, he tries to help me there as much as he can." "My grandfather likes to give me advice on things I can do off the track to prepare for races such as being physically fit and making sure I am doing well in school," Enzo added. Preparation is one of the main keys to success in racing, and it's not surprising that Emerson has pushed to help his grandchildren in that aspect. As Emerson said in the interview, "Every driver has his own style." We asked each to describe themselves as a driver, while also trying to draw comparisons to each other. Emerson called himself very 'consistent,' saying "I used to be, as a driver, very consistent, from lap to lap. 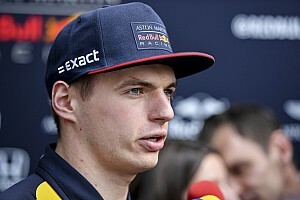 That makes a large difference in Formula One especially, when the driver is consistent every lap." Talking about one another, Pietro and Emerson were both able to draw some connections. "I think Pietro is a similar driver to me ... He is very smooth. I was smooth, I always enjoyed very fast corners, and that is the reason I was able to adapt to oval tracks very well," Emerson stated. "Pietro likes fast corners as well, and he is very smooth. I think being smooth today is even more important, because you have to save your tires, because when you are smooth, your tire life is much longer." Pietro talked a bit about when to take risks and when to hold back, saying " I like to analyze things a bit more. There's times when you have to take risks and there's times to sit back and wait for the other driver to make the mistake. You have to win races to win championships, but sometimes settling for second or third is better than taking the risk when you're going for a championship. I definitely tend to analyze the situation a bit more. I'm a very smooth driver so I can compare to my grandfather in that aspect." My grandfather was a rockstar, so I want to be a rockstar too! "I think of myself as a fair racer, but when it comes down to the last two laps, I am as aggressive as one can be. I have never been able to watch my grandfather race but what I have heard from other people is that my grandfather was very aggressive, but strategic as well. I have watched the McLaren Tunes show on YouTube and it showed that my grandfather was a 'wolf' on track, hopefully one day I can become a 'wolf' on track as well!" Somebody go get some cars together and let this family go have a crack at Eau Rouge! Pietro actually did get the chance to finally tackle Spa a couple months back and described the famous Belgium circuit as an intense 'roller coaster.' "My brother (Pietro) drove it (Spa) for the first time this year and he said it was amazing," said an enthusiastic Enzo. "It is such a historical track and has so many different types of corners, I would love to give it a go." 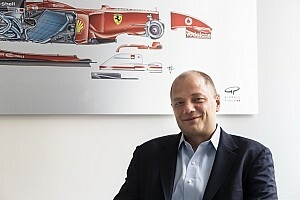 For Emerson, there are too many to name in terms of people who gave him good advice, telling Motorsport.com "I received advice from many different competitors. But not just one, there were many. Always, I tried to listen and to learn. You must in any kind of sport if you want to get better, if you strive to be the best." I don't like to use the word 'admire' but if I ever need advice or have doubts, they're always someone I can call." Pietro's answer is something all professional race car drivers can relate to. He talked about the day when he had to decide, does he want to do this for fun or does he want to make a career out of racing cars? 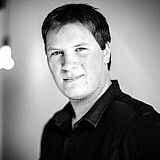 "When I was 14, racing go-karts in the US, I was starting to test the late models for NASCAR racing. I had to sit down with my grandfather and make a decision. They said you continue racing for fun, or, you can be fully committed and try to make a career out of it. My family was going to have to move to NC so it was a big sacrifice for them. That was a decision I made and my family moved so I could pursue my dreams." As for Enzo, it was also something his grandfather once said; "Always be dedicated and don't be all about partying and going out. Be focused." 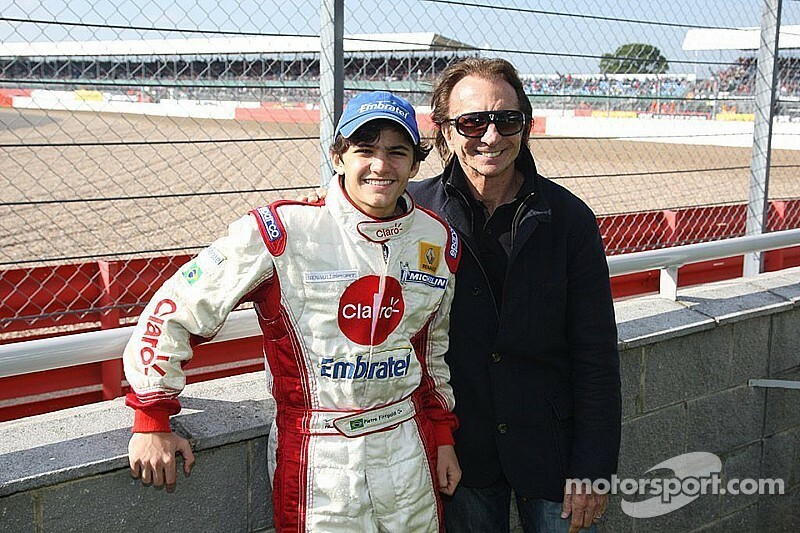 All three of the Fittipaldi's are big fans of the famous John-Player Lotus. When talking about the machine, Pietro called it "one of the most iconic F1 cars ever." "I have pictures and models of it everywhere and I got to see my grandfather drive it at Goodwood. It's just such a badass looking car and I would love to drive it one day!" Outside of their own family, I wanted to know which race car driver they admire most. Pietro put a bit of a spin on his answer, which I found intriguing. "Never ask me this question ... It's a bit difficult to answer (chuckles)." I always went to the races to cheer for my cousin or uncle, but I became friends with other drivers such as Nelson Piquet Jr. and Felipe Massa. I don't admire them, I see them more as friends. I don't like to use the word 'admire' but if I ever need advice or have doubts, they're always someone I can call." Emerson has seen more legendary racers in his time than anyone could possibly imagine, so it was understandable that he'd have more than a couple drivers he wanted to name. "As a young boy I admired Fangio. Chico Landi, a Brazilian Grand Prix driver. Then there was the next generation like Jimmy Clark, Jackie Stewart, Jacky Ickx, an incredible collection. In my time, I admired many of my competitors. Jackie Stewart was very fast. Jochen Rindt, Niki Lauda, James Hunt, Carlos Reutemann. I got to race some of the sons, like Gilles Villeneuve's son, Jacques Villeneuve was very good. I raced Mario Andretti and Michael, the Unser family...very tough competitors. Very tough." The tenacious little racer we know as Enzo was quick to name another highly aggressive and tenacious racer in response to this question, throwing out Michael Schumacher's name without hesitation and without clarification, and frankly, when you name somebody like Schumacher, there's no need to clarify. Keep in mind that these interviews were all done separately, yet both Emerson and Pietro picked out the same memory when they were asked to recall their most cherished racing memory, one that also involved the other. Once I get to Formula One and win a couple World Championships, then maybe then I can think of the rockstar lifestyle! "In 2012, I was able to test with my grandfather in late models at Hickory Motor Speedway," Pietro began to tell. "I got to test my late model with him and we were out there the whole day. We actually started racing each other and he was so fast. I was obviously a little bit quicker but it was only by a few tenths, but it was one of the funnest times I've ever had with him." "I like how you had to put in that plug, I was still a little quicker!" Yeah, I was still a little quicker (chuckles)! Emerson told the same story, "I never dreamed that one day I could drive a NASCAR car with my grandchild, and I followed him on the track in Hickory. It was a very special moment with Pietro. He was faster than me! I enjoyed every second of that experience. I never dreamed I would be on a racetrack with my grandchild." Enzo recalled one of the recent Montreal Grand Prixs, saying "I got to go check out a bunch of teams and it was really cool to see all the fans and people that were greeting my grandfather. It was really interesting to see how people reacted to us and I still remember it." Throughout the years, the perception of racers has dramatically changed. From daredevils, car junkies, rockstars, gladiators, even fighter pilots, and today, top-level athletes that function at a level on par with their powerful machines. For the final question, the grandkids were asked which title they prefer...rockstar or top-level athlete? I think every driver has his own style. Pietro is very precise, very consistent, Enzo is more aggressive and likes to attack. Our 13-year-old friend Enzo wants a title that goes with his 'balls to the wall' driving style as Pietro described it, so of course, he chose 'rockstar.' "My grandfather was a rockstar, so I want to be a rockstar too!" For Emerson, we wanted to see if either of his grandchildren remind him of a driver he once raced against in terms of their skill, habits, or the way they carry themselves. "It’s difficult to say," he admitted. "I think every driver has his own style. Pietro is very precise, very consistent, Enzo is more aggressive and likes to attack. In any sport, like tennis or soccer, anyone who is able to perform at the top normally turns into a champion. I think they have that quality. Pietro has already won championships and he is leading this year. If he can maintain that, he can someday be a Grand Prix racer. To be able to perform race after race, year after year, that's what sets a driver apart.